Click HERE for a full list of 2018 Prize Winners. 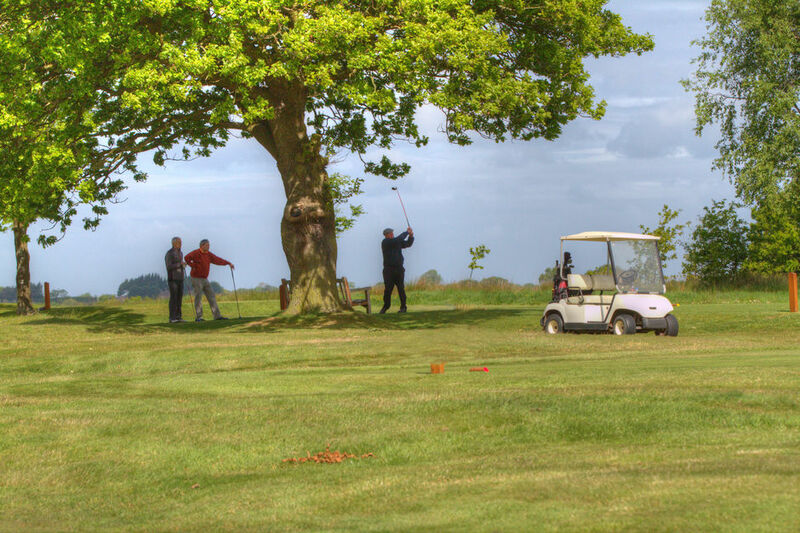 A Festival of Seniors Golf : The Rut Niblick is considered to be one of the most prestigious Singles Senior Golf Events in the North West. Early entry is advisable, the field is strictly limited to 135 players. If the timesheet is full please contact the office to go on the reserve list. Buggies : The club has 6 buggies for hire - book in advance through the Pro Shop. 15 prizes to encourage Senior Golfers of all ages - even over 80's! Best Gross Overall will be the Rut Niblick Champion. A further 12 Nett Stableford prizes based on age categories - see the Rules for age groups and appropriate tees. There will be no team competition this year as CONGU rule 17.2 does not allow team members to play together in a qualifying competition. You may still play with a partner of choice but not for a team prize. Full catering will be available throughout the day including breakfast & snacks before going out and full meals after play.